This is a book for programmers with little or no background in computer science. 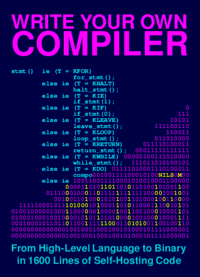 If you have no idea how a compiler works, but always wanted to write one, this might be the right book for you! Learn how to break down sentences of programming languages into manageable pieces and then put them back together into executable machine code. All with zero theory involved! 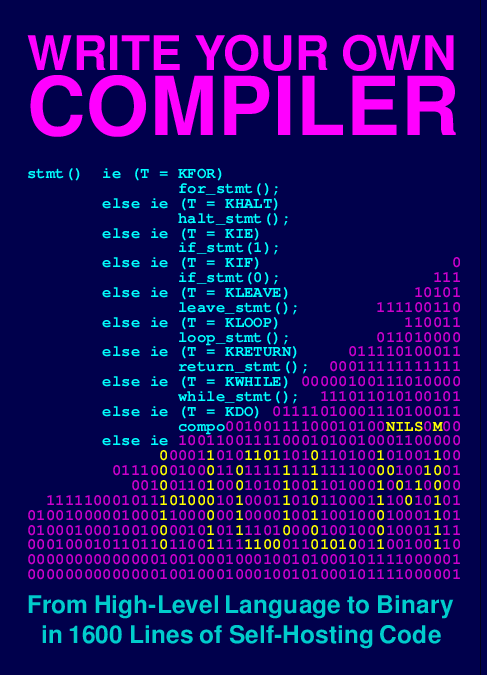 The book contains the full source code to the T3X compiler, which translates T3X directly to ELF, the loadable program format used by many popular Unix-like systems, like Linux and BSD. All of the above in less than 150 pages of comprehensible code and straight-forward prose. This is probably how small a compiler book can get. The code in the book is distributed under the CC0 licence, i.e. it is in the public domain. You can download it here.